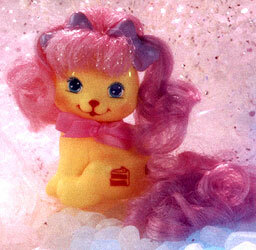 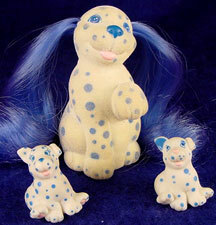 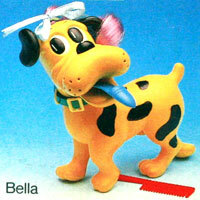 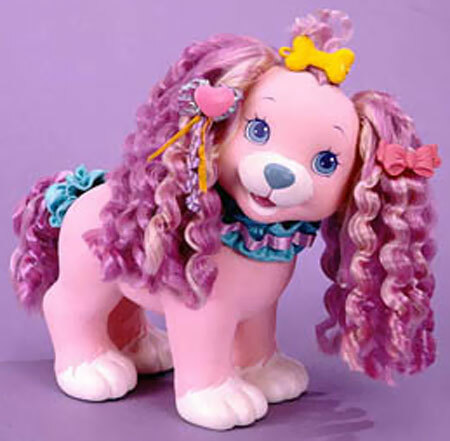 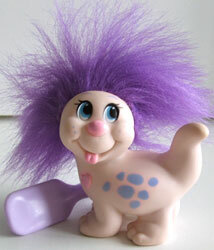 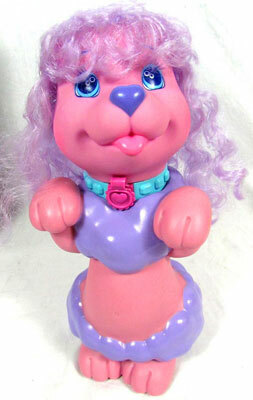 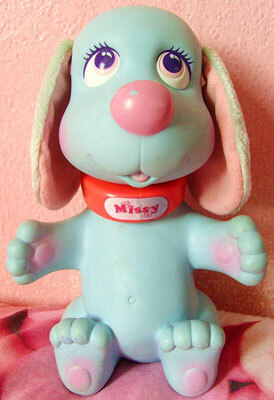 Puppy Dog Tails were produced by MIG in 1998. 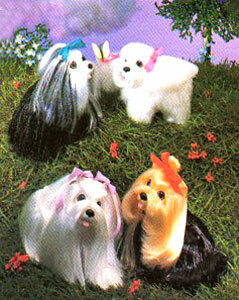 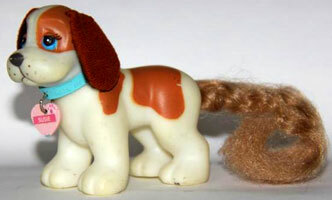 They were a series of small dogs and puppies of various breeds with plastic bodies and fabric ears. 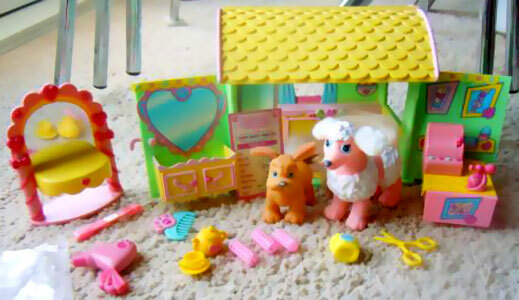 There were also playsets. 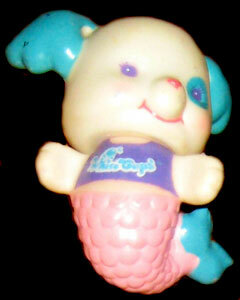 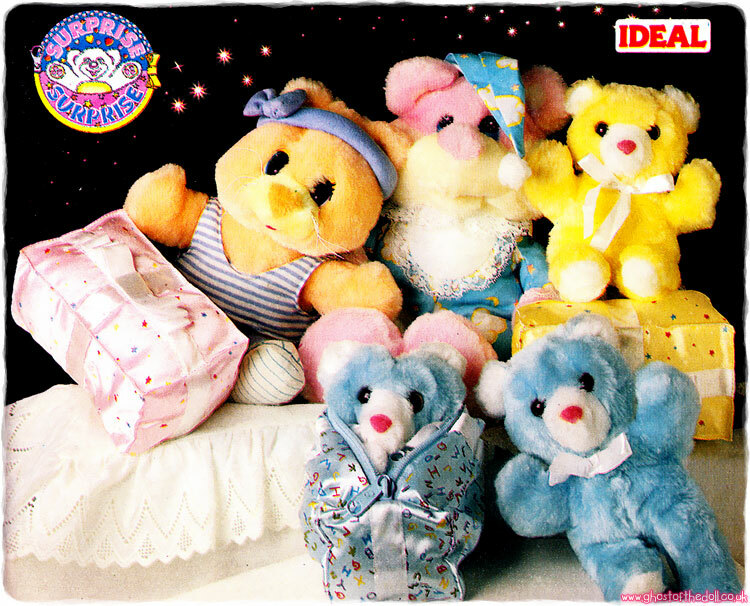 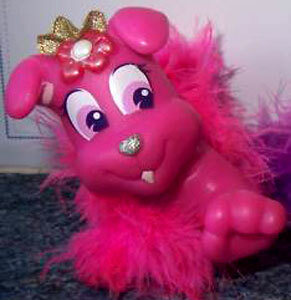 Images on this page thanks to eBay sellers rainbow*magic, bunnyears999 and 9257alder! 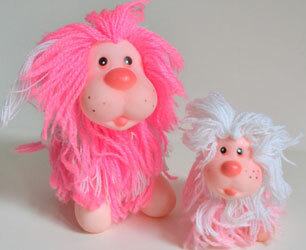 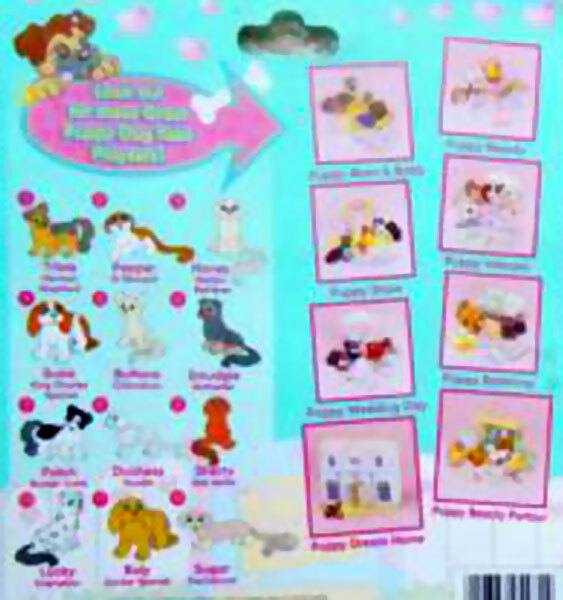 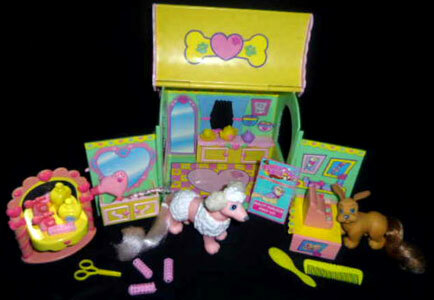 The Puppy Beauty Parlour playset looks to have come with a pink poodle adult and a Cocker Spaniel puppy. 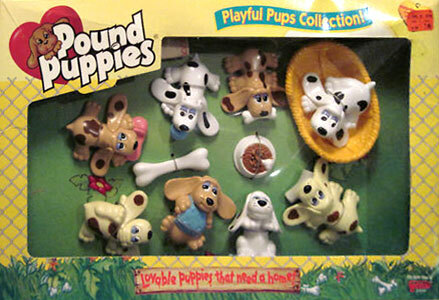 This looks to be a playset, or parts of (shown with re-issue puppy). 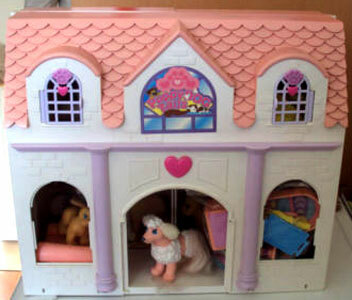 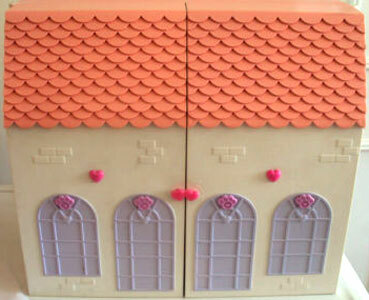 The Puppy Dream House was 13 inches height and opened up at the front to reveal the rooms within. 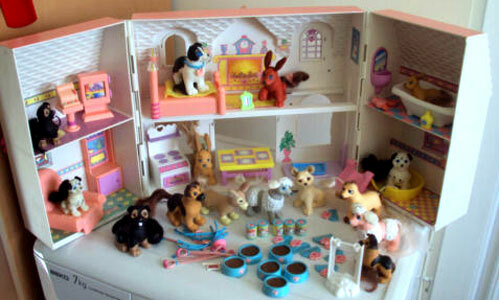 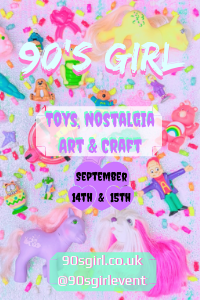 Included was a light-up bed, bath, hairdryer, shampoo, TV with revolving pictures, armchair, table, sideboard, cooker, tray, dog bed and a picture. 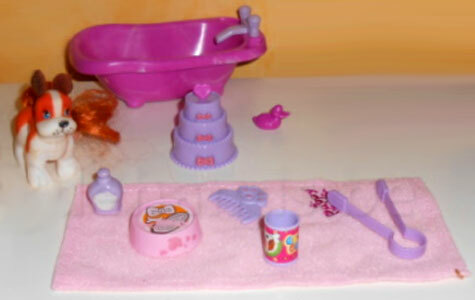 There may well have been other items too.